This article along with video walks a client through how to join a Telehealth session. 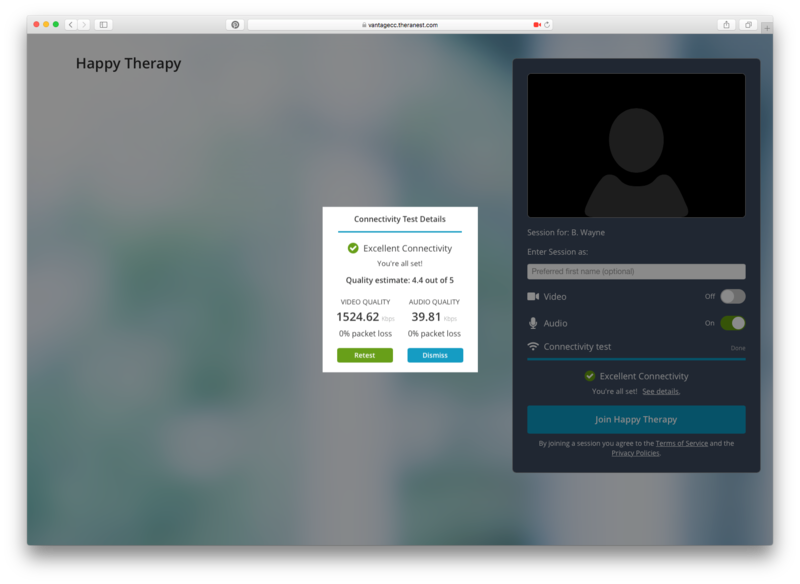 In order for you to join a Telehealth session a unique URL must be provided to you by your therapist. If you do not have a link you must reach out to them to retrieve the link. You do NOT have to download anything to securely join the Telehealth sessions. You will be able to join from you phone, tablet, and computer. The Telehealth session windows are fully responsive and will adapt to the screen size of your device. If you click on the appointments section in your Client Portal you should see the option to start the session next to the appointment. Please know the appointment will show in your Therapist's time zone if different from yours. You will be taken to the virtual waiting room where your browser may ask permission to use your camera and microphone. You must say yes.